Have you heard about green coffee and weight loss? If, like me, you’ve been trying to lose weight for ages you probably know all the tips and secrets. You’ll also be frustrated that it isn’t going as well as you like! One of the key pieces of advice is to get your metabolism working better. But how? 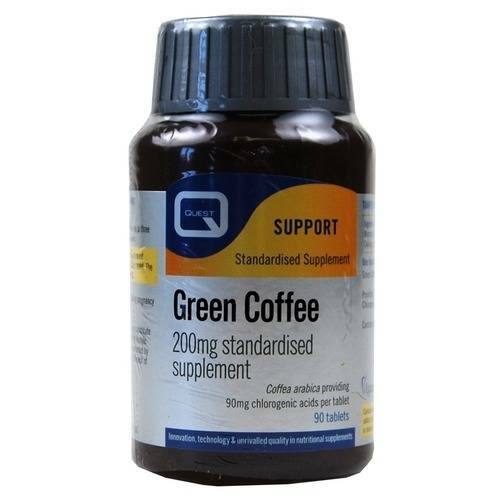 Green Coffee bean extract has been shown to boost metabolism so that tests foundpeople would lose 18 pounds over 6 weeks. Not only that, taking green coffee pills kept the weight off too. Green coffee (or raw coffee) contains chlorogenic acid which works by inhibiting the release of glucose and increasing your body’s metabolic process at the same time. Neither does it leave you with the jitters like coffee might. It’s not something I’ve tried yet, but I’m hoping to get my hands on some as soon as I can. Green coffee for weight loss? That’s great news! I should use this product because I’m also trying to lose weight for ages. I’m very frustrated due to the fact that no other method didn’t work for me so far. Maybe, this product is the best solution for my weight loss issue!